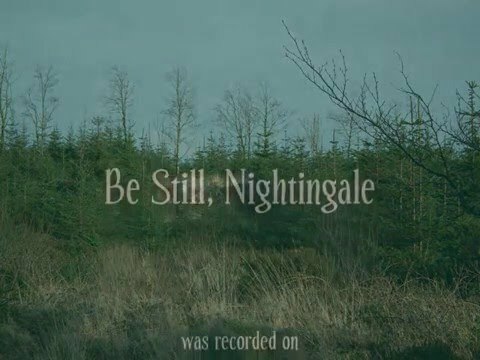 The choir and I will never forget the first time we met and worked with Gormfhlaith Ní Shíocháin-Ní Bhéoláin back in 2016, when she was only fifteen years of age. Not only her pianistic skill and musicality impressed everyone straight away, but also her utter professionalism, quiet confidence and sang-froid dealing with accompanying a choir and following a conductor, which is easier said than done! She was simply a joy to work with and indeed we had a number of very enjoyable and highly fruitful musical collaborations with her, notably the three beautiful recordings made of our 'bird songs' - 'Be still, Nightingale', 'As I hear the sweet lark sing' and 'Come live with me and be my love' – and our concert together in the Cobh Heritage Centre. 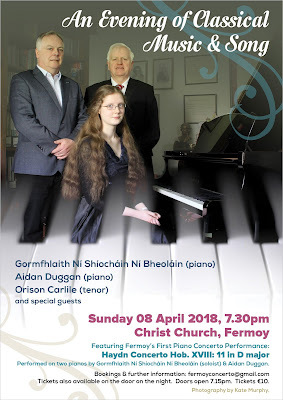 I knew then that Gormfhlaith was destined to do great things in music and “lo and behold...” less than two years later, she is presenting herself as a concert pianist in this classical recital on Sunday, 8th. 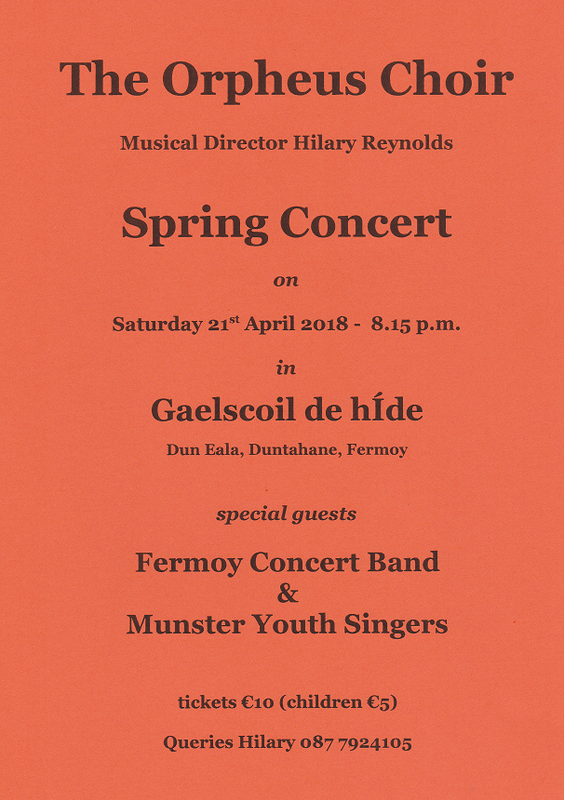 April, 2018 at 7.30pm in Christ Church, Fermoy. 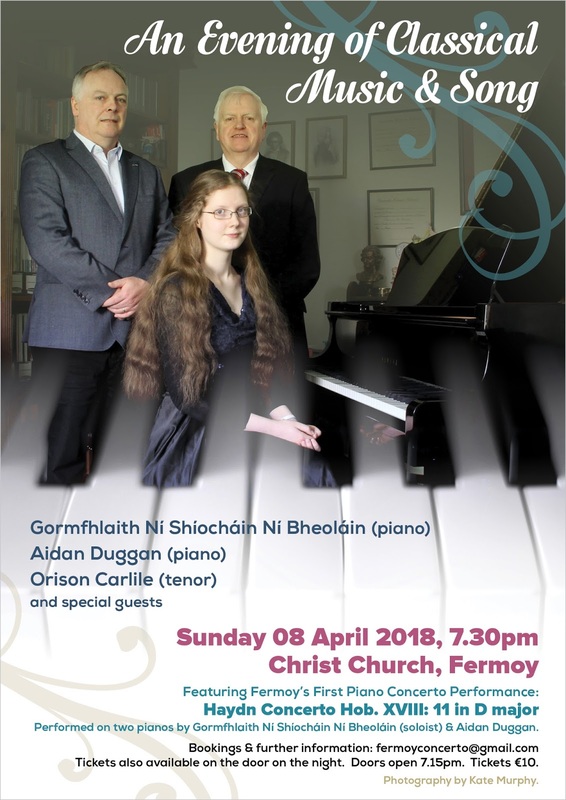 It will also be Gormfhlaith's debut playing a piano concerto, which, in itself, is a historic event, as it will probably be the first time a piano concerto has ever been performed in Fermoy. It will be performed on two pianos, with Gormfhlaith's piano teacher, Aidan Duggan playing the orchestral part. This is a treat not to be missed with the added bonus of a further programme of beautiful and varied music, including song. 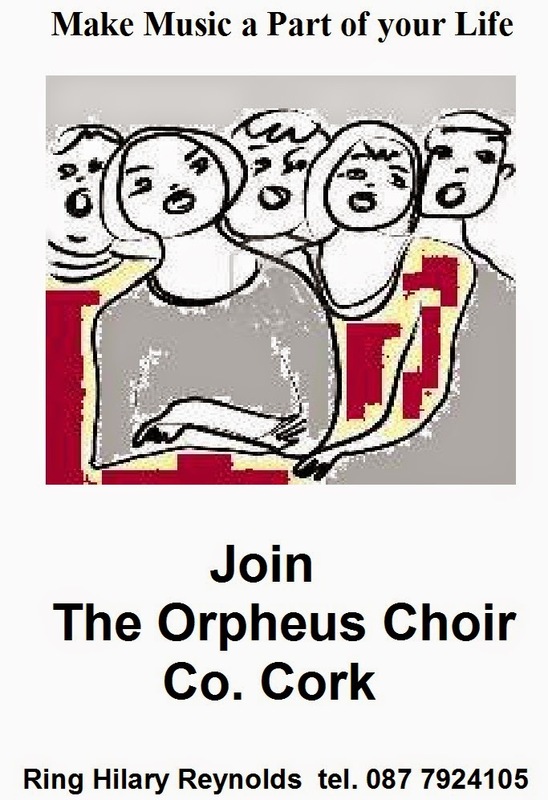 I am looking forward to being a proud witness of this event and I am sure that the members of The Orpheus Choir will want to join me in supporting this most talented and engaging young musician. Our first concert in 2018 will be taking place on 21st. April in Gaelscoil de hÍde in Fermoy, in the hall of their new, state-of-the-art building which opened last year. In January 2016 planning permission was granted for the new 24-classroom complex on the Duntahane Road and on 17th. February, 2017 the students and staff closed the doors of their old building and walked to their new school accompanied by the local Fermoy Concert Band. 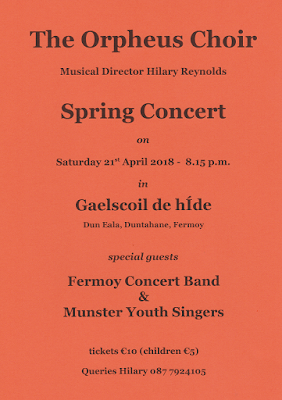 Consequently, it is very fitting that, a year later, we have asked the Fermoy Concert Band to share the concert with us as one of our special guests. 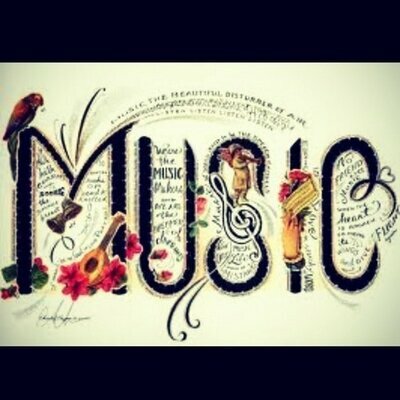 Our other special guest is the recently formed Munster Youth Singers, a youth group made up of kids from the ages of eight to fourteen attending primary and secondary schools in the area.